Absolute Floor Sanding is a Hunter based, owner operated company and has been the Newcastle Floor Sanding premier company of choice. All work carried out by Absolute Floor Sanding is undertaken by professional trades with over 20 years experience in Newcastle floor sanding and customer service. We take care of your residential and commercial properties, focusing on meeting your expectations and agreements with us. Our services provide sanding polishing for all Newcastle timber flooring and staircases as well as staining- white wash floors new and existing outdoor timber decking. We are also able to supply and install new timber flooring as per your requirements. To discuss further please call us on 0427 160 561. 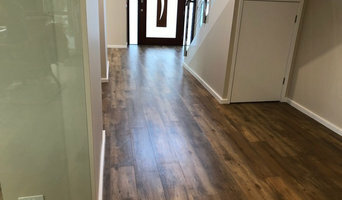 Newcastle Carpet and Flooring was established by David Longhurst, a flooring specialist with over 28 years’ experience in the industry as both an installer and a sales person. David wanted to create a flooring retail outlet that would put the customer first and he wanted to do it in his local area. He signed up with independent buyer’s group, Australian Floor Style which enables him to offer the highest quality and range of product at affordable prices. Australian Floor Style is not a franchise, it’s a co-operative. This means that we can source product from leading Australian and international manufacturers without heavy marketing and branding overheads that add to the cost of the flooring for customers. This makes our offerings more affordable than our competitors without sacrificing style, quality and range. Being part of Australian Floor Style also means that David has committed to uphold the values of the group with the highest levels of Integrity, Ethics, Service and Standards. David Longhurst knows flooring. He started out as a carpet layer 28 years ago and has managed large flooring retail outlets. He knows how his competitors operate and he knows how to do it better. At Newcastle Carpet and Flooring we see things from our customer’s perspective and we will provide beginning to end personalised service, ensuring that you get the best package possible. David and his team pride themselves on their honesty and reliability which is backed up by their extensive knowledge of both product and processes. New flooring can have a significant impact on your home and your mood, and quite simply, we just want to help our customers make their homes amazing! Derry's Carpet Warehouse in now DERRY’S FLOORING WAREHOUSE. We have updated our ranges and added a huge range of Vinyl, Laminate and Timber Flooring to choose from for your one stop flooring needs. Once again Derry’s is owned and run by a local family who are keen to bring back the outstanding customer service Derry’s was renowned for. Derry's flooring Warehouse is a retail flooring warehouse. Specialising in residential and commercial applications. Derry’s was characterised by their outstanding quality, longevity and unmatched designs at warehouse prices, and this will continue. We cater to innumerable customers all over the Central Coast and beyond. With over 17 years experience caring for floors, we can guarantee we will measure your floor area accurately and provide all necessary information relating to you and your flooring needs. This knowledge will give you peace of mind that you can leave your floors in our safe hands without any worry. Surface Safe have a reputation on providing quality floor and stair safety solutions as well as decorative architectural flooring finishes. ABOUT US Surface Safe specialize in offering the most complete range of slip injury prevention products available that can solve a multitude of potential slip and fall issues for all hard surfaces. Surface Safe provides assessment and consultation of environments to ensure that the safety of your employees, suppliers, customers, family and friends is sound. Our products and services reduce environmental risks and we are the leaders in slip and fail prevention to provide WHS compliance. Over the years Surface Safe have not only seen the need for safe floor and stair solutions. In this time we have also seen the need for aesthetically pleasing solutions. This is why we also pride our reputation on providing Architectural finishes that are cutting edge in the industry. Surface Safe have extensive knowledge of many flooring systems that we know you will very happy with. NEWCASTLE’S FLOORING SPECIALISTS HARDWOOD FLOORING Add instant character and charm to your home with hardwood timber. Used for centuries for its classic look and durable nature, hardwood timber never goes out of style. TIMBER FLOORING Timber flooring gives any room a beautiful finish that will never go out of style. Timber gives your home a warm, organic and homely feel. BAMBOO FLOORING Stunningly beautiful and environmentally friendly, Bamboo gives your room a distinctive finish. Hard wearing, durable and eco-friendly, they are a great asset to your home. CARPET Carpet is a great choice to give your home a warm and inviting feeling. It always looks stylish and is comfortable to walk and lay on. VINYL FLOORING In recent years, there have been big improvements in vinyl flooring. Any style of flooring can be reproduced at low cost with fantastic results. A highly recommended product! LAMINATE FLOORING Laminate is the affordable flooring option that gives your home the look and feel of other types of flooring but at a reduced cost. 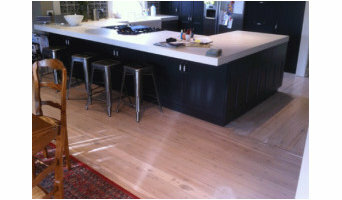 Advanced Timber Floor Sanding & Polishing is a local, owner operated company currently based in Newcastle. 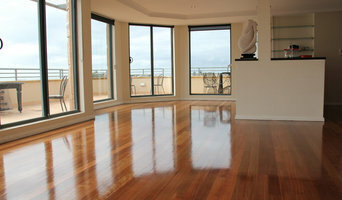 We service the Newcastle and Hunter areas providing quality, and excellence in all your floor sanding needs, including floor sanding, polishing, and timber deck restoration. Our floor sanders provide a reliable and professional service that extends to internal rooms, stair cases, pergolas and decking for all existing and new commercial and residential areas. At Advanced Timber Floor Sanding & Polishing, we pride ourselves on quality customer service with an aim to achieve a reliable and high standard of craftsmanship for you and your timber floors. With our attention to detail, reliable quality customer service and excellence in floor sanding, we guarantee to be the leading choice in all your floor sanding needs within the Newcastle and Hunter regions. We service , Newcastle and the Hunter Valley, Nelson Bay, Mailtand, Singleton, Muswellbrook, Cessnock, Gosford, Morisset, Tuggerah and many more surround areas. Newcastle Carpet One supplies and installs carpet, timber, laminate, vinyl, blinds & shutters. We are an independent family owned and operated business that has been proudly servicing the Newcastle, Lake Macquarie and Port Stephens area’s for over 30 years. All floors need to be durable - they take more wear and tear than any other piece of your Newcastle, New South Wales house - but this does not mean that you should buy the most hard-wearing. Experienced flooring retailers will know as much as an installer for what product is right for your Newcastle home. From hardwood floors to vinyl flooring and carpet, there are nearly as many surfaces to walk on as there are home styles to build. 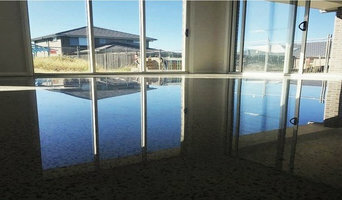 A pro can help to ensure that your Newcastle, New South Wales home’s floors start off and stay in top form. Hire a Flooring Installation Contractor if your floor troubles are beyond the rug solution. From timber flooring to a laminate flooring installation, a specialist will take care of your sanding, polishing and floor covering needs. Look for a Flooring Installation contractor in Newcastle based on past work and referrals - all available on Houzz. Find a carpeting and flooring professional on Houzz. 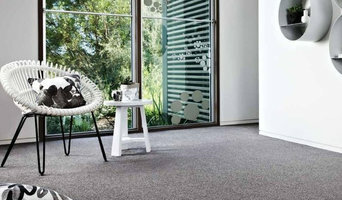 Narrow your search in the Professionals section of the website to Newcastle, New South Wales carpeting and flooring. You can also look through Newcastle, New South Wales photos to find examples of carpeting and flooring that you like, then contact the professional who worked on them.